Suspicions confirmed . . . 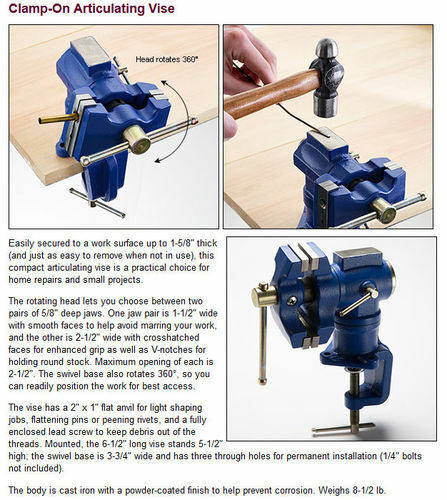 Looking at the Lee Valley website online I ran across this vise which I have and is one of the best small bench top vises available. I love it! Available from Lee Valley for only $55.00! Or . 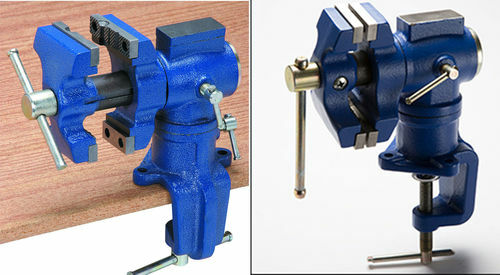 . . you can buy the exact same vise from Harbor Freight for only $22.99 which is what I did. Well there ya go … proving once again Harbor Freight is a deal! Thanks, Rufus! That does look like a handy little vise. Good looking out. I have owned and used that vise for about four years now and I am intimately familiar with it. I assure you it IS the same vise! The different position of the base makes it appear different, however it is not. I can spot at least two differences in which positioning plays no role in the above photos. They do look a little different. as poorly as my knockoff did. Some folks just like to pay more. I used to park my Yugo right next to my co-workers Jaguar. I got to retire early … he’s still having to work … go figure. 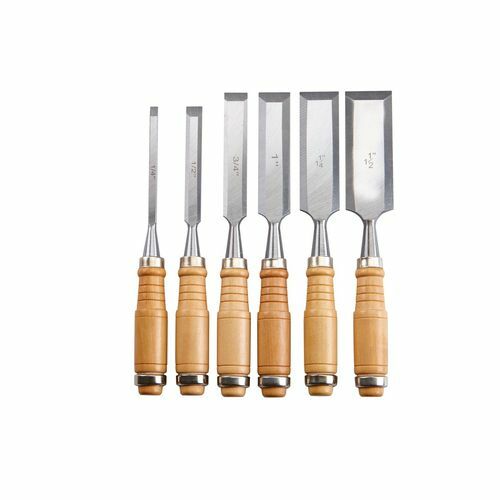 And yes … I swear by those Windsor Design chisels. Although I don’t necessarily think LV and HF get them from the same place, I am inclined to believe they are the same. I’m guessing they ultimately came from the same Chinese factory/foundry, and HF either bought straight from them or the cheapest source after that, and LV got them from someone who gets the castings from the same factory/foundry and then finishes them a little nicer, if the difference isn’t just in photography. It’s a very common scenario. Apart from color and finish texture, there really are no noticeable differences. People who think that screw is a difference should check more pictures, because the vise head is 180 degrees out of sync in the two pictures above, and both vises have that screw. I’ve examined a number of these tool situations. Usually it is very obvious that the tool originates from the same factory, but more often than not the difference lies in the fit/finish. My theory is the factory produces piles of the tool. They then get sorted based on their fit/finish. A company like LV will buy the top of the heap with the best casting surfaces and most accurate machining. HF will get the bottom of the pile with the rough castings and lousy machining. Two differences I noted where the jaws – clearly different. There is also a screw on the right one that doesn’t appear on the left. Rotation of the base doesn’t matter to those. For the record, I’m sure both are perfectly fine. I’m in Canada so I can’t get the HF one anyway. Princess Auto might have something similar though. Two differences I noted where the jaws – clearly different. There is also a screw on the right one that doesn t appear on the left. Rotation of the base doesn t matter to those. For the record, I m sure both are perfectly fine. I m in Canada so I can t get the HF one anyway. Princess Auto might have something similar though. Both vises have two sets of jaws. They are rotated 180 degrees out of sync in the two photos. The left one has the large jaws up while the right picture has the small jaws up. As was stated above, that also explains the disappearing screws. The vises are very close in design, but there is an obvious major difference in the finishing. That said, the HF vise will hold a work piece just fine. The vises are very close in design, but there is an obvious major difference in the finishing. That said, the HF vise will hold a work piece just fine. Until you hit something on it it with a hammer and the cheap pot metal breaks in half…. I have two HF vises in my shop and both take a real beating. One is over ten years old, and the other about 2 years. I would buy another in a heartbeat, should I need it, over paying 2-3 times a much for other brands. Of course these two vises are not the same. The second one brings you the bragging rights that you shop at Lee Valley, the first one… well. Almost like that picture contest the Globe has…...”spot the 10 differences” sort of thing. Maybe NEXT, the pictures will actually be of the same view…..